Eureka Virtual Machining, developed by Roboris (Pisa - Italy), performs a complete 3D-simulation of any machine tool through a simple and intuitive graphical interface, using the post-processed G-code tape of the real machine. Eureka helps to avoid risks of damaging expensive work pieces, breaking tools and fixtures or even crashing a CNC machine because of programming errors. 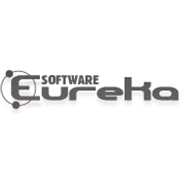 Thanks to the possibility of customizations at any level, many important manufactures have chosen Eureka as their own verification software and as a solution for their customers. Eureka supports any kinematics, with an unlimited number of axes, from the 2 axis lathe to the multi-function work center and multi-flow machines. It emulates the most popular NC controller on the market like: Heidenhain, Fanuc, Siemens, Num, OSAI, Z32, Fidia, Selca. Other controllers can be easily integrated on demand. INTERACTIVE EDITOR - It allows to modify and/or add any G-Code command, immediately verifying the result. It is also possible to start from scratching and build a program.Includes copy and paste functions. EASY TO USE. ROBOT SIMULATION, very robust and effective. CUSTOMIZABLE, via VBscript, C++, Eureka script commands. ACTIVE X module for full System Integration and Customization. Designed for all the industrial robots in the market: ABB, Kuka, Fanuc, Motoman, Kawasaki, Staubli, Comau; Can be interfaced with the most popular CAD/CAM and tools management systems: ALPHACAM, VISI, RTM, EDGECAM, GO2CAM, CAMWORKS, CREO, MASTERCAM, CIMATRON, GIBBSCAM, DELCAM, WORKNC, TEBIS, ZW3D, WINTOOL, ZOLLER TMS.